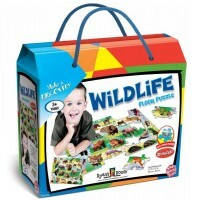 Toddlers or preschool kids can do one safari jigsaw at a time, or sort all 20 pieces at once for an extra challenge. 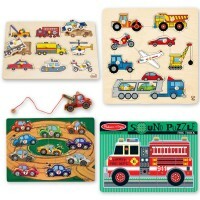 It is so important for the little hands to refine the manipulative skills. 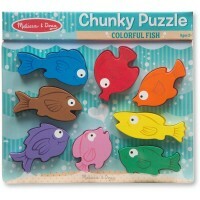 Toddler first puzzles are among the best tools in such skill training. 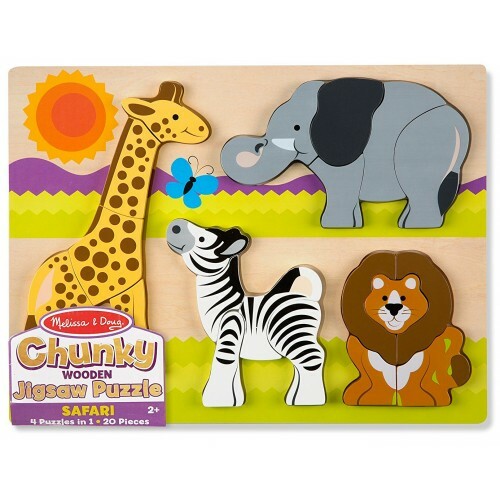 New addition to Melissa and Doug's Chunky Puzzles collection, Safari Chunky Jigsaw 20 pc Puzzle presents 4 popular zoo animals, each consisting of 3-6 simple jigsaw pieces. 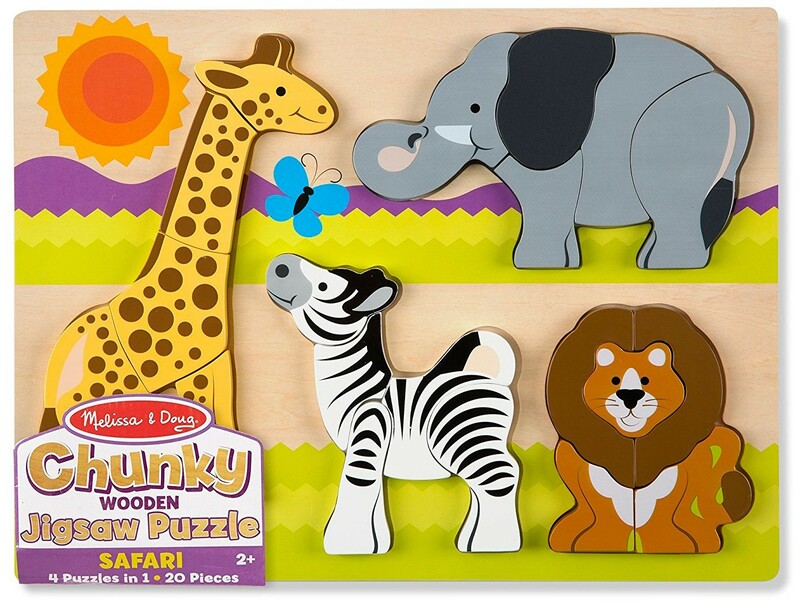 Friendly giraffe, zebra, lion and elephant are illustrated not only on the pegged puzzle pieces, but on the puzzle board as well, so your child does not get frustrated looking for the right place for the puzzle piece. 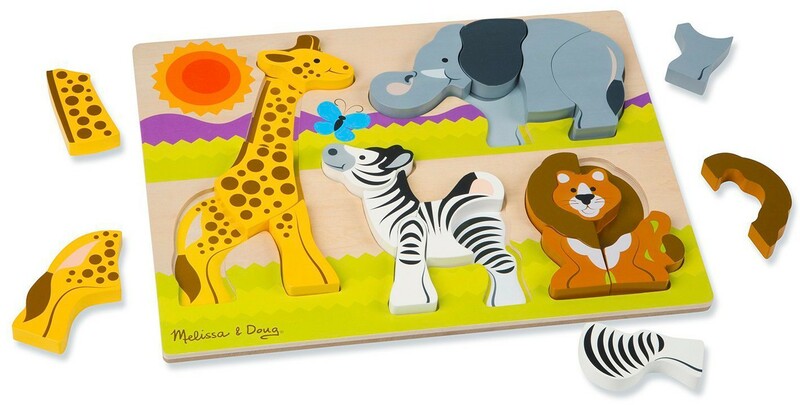 This durable wooden children puzzle comes with 20 easy-to-grasp pieces, just perfect for toddlers' hands. 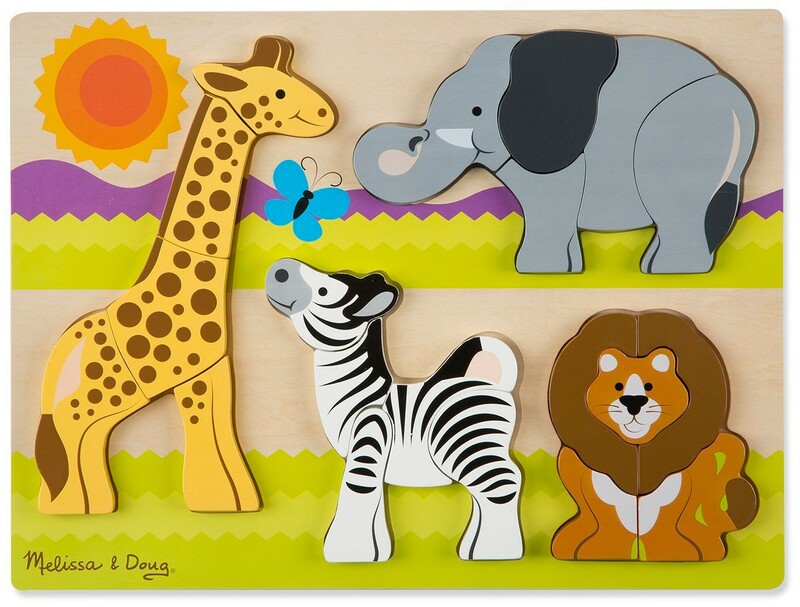 This safari animals first jigsaw for young children meets all U.S. toy safety standards. 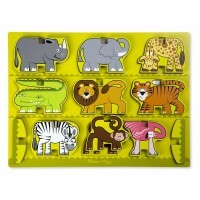 This Safari Chunky Jigsaw 20 pc Puzzle from Educational Toys Planet will bring tons fun for young kids. 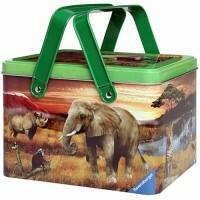 Dimensions of package 1.1" x 15.7" x 11.7"
Write your own review of Safari Chunky Jigsaw 20 pc Puzzle. 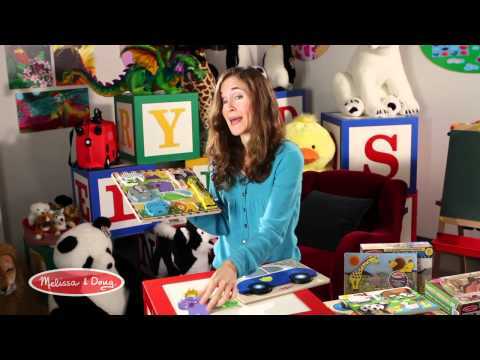 Rating: 5 by MaryKatherine, OH My twin grandson are two. 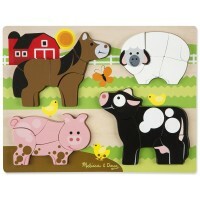 They love the handles on the puzzle pieces, easy for them to pick up. 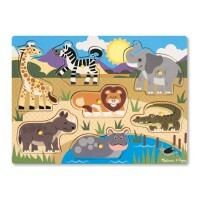 They can match the piece to the animal on the puzzle board and they clap when they get it correct!